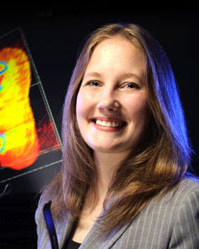 2011-present: Joint Appointment, Center for Advanced Modeling and Simulation, Center for Advance Energy Studies, Idaho National Laboratory. 2010-present: Assistant Professor, Department of Computer Science, College of Engineering and Applied Science, University of Wyoming. 2008-2010: Post-Doctorate Fellow, Department of Computer Science, School of Computing, Clemson University. 2003-2008: Graduate Research Assistant, Department of Computer Science, College of Computing and Informatics, University of North Carolina at Charlotte. 2005-2006: Graduate Teaching Assistant, Department of Computer Science, College of Computing and Informatics, University of North Carolina at Charlotte. 2001-2002: Web Development Intern, Ceeva, Inc.
My research area is in 3-Dimensional (3D) User Interfaces, which focuses on Human-Centered Computing and Human-Computer Interaction for 3D environments such as Immersive Visualizations, Virtual Environments, and Virtual Humans, or embodied agents.